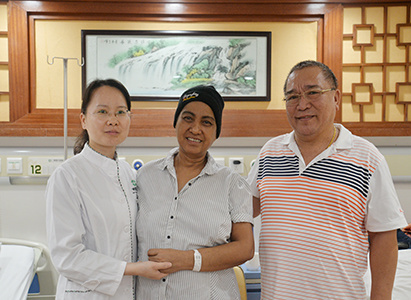 On April 4th, NANITA and her husband came back for the third treatment course. 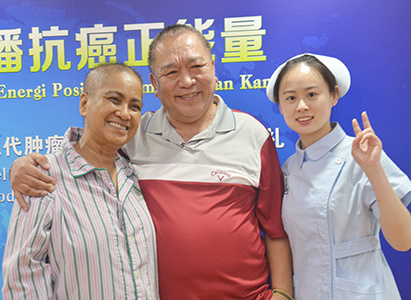 She underwent one session of interventional therapy and one session of natural therapy. Now she does not feel any nervousness about the treatment. So far, she has taken 3 sessions of interventional therapy, one session of microwave ablation, one session of cryotherapy and one session of natural therapy. Dr. Lin told us that 80% of the tumor was destroyed. NANITA feels elated that her treatment yield such significant result.